Pharma PCD Franchise for Analgesics Medicines – Analgesics drugs are referred to painkillers and they are widest used drug classes in India. Swisschem Healthcare welcomes all those who are looking for affordable and genuine deals of painkillers drugs for PCD Pharma Franchise. Swisschem Healthcare is an ISO certified pharma company that offers a wide range of high-quality analgesics drugs. The company deals in 1000+ products range and in various segments covering Anti-allergic, Anti-biotic, Anti-infective, Anticold and Cardiovascular drugs. We have listed ourselves in the top list of Pharma PCD Franchise for Analgesics Medicines. Analgesics Medicines have a high demand in the pharmaceutical market. There are many pharma companies that offer Pharma PCD Franchise for Analgesics Medicines but our company is considered as the best. The reason behind it is that we aim to satisfy our customers need and demand regarding healthcare medicines. We manufacture all the products under WHO and GMP certified production units. The Company provide a diverse range of drugs in all the dosage formulations including tablets, capsules, injections, soft gels, drops, syrups etc. With the help of the team of qualified experts, we are able to cover almost all the states of India like Tamil Nadu, Himachal Pradesh, Sikkim, Gujarat etc. We assure to provide the best-assured deals, affordable rates, quality medicines, timely delivery, extensive manufacturing services etc. In case you want to know more in detail about our company policies and its franchise services then feel free to call us at +91-8437526778. You can also drop us a mail at swisschemhealthcare@gmail.com. Our representatives will soon connect you back and will clear all your queries. Analgesics medicines are highly effective on any kind of central nervous system to prevent the pain. They are most probably used to cure muscle sprains and overuse injuries. In India, this particular drug range is widely used. As per the statistics, the global market of analgesics drug is growing continuously and expected to increase by $30.8 billion by the end of 2023. Due to increase in demand of the drugs, there is an increase in manufacturing companies. 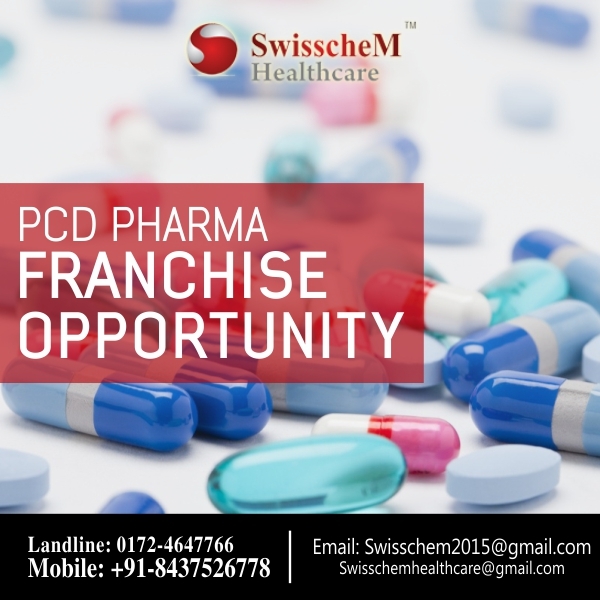 Many pharma professionals are looking forward to owning a PCD Pharma Franchise for analgesics medicines. Therefore it will be not wrong to say that the demand of analgesic medicines is on strike. Swisschem Healthcare is one of the leading and most famous manufacturer and supplier in India. The company provides the PCD Pharma Franchise to the newcomers and pharma professionals at genuine and reasonable prices. Our company launched new medicines regularly and kept informed it about the associates through the newsletter. We deal transparently with all our associates and that makes them rely on us. The company is fully equipped with Hi-tech machinery and world-class infrastructure. We have more than 500+ clients who are satisfied with our services and professional approach. Be a part of our company and enjoy a wide range of analgesics medicines and drugs. What Do We Offer to Our Associates? We provide handsome incentives and bonus on meeting the annual targets. The company give promotional materials like a visual aid, MR bags, calendars, visiting cards, brochures, diaries etc. Our company provide good marketing support that helps franchise holders to build good connections in the market. All the products are DCGI, FSSAI and FDA approved.